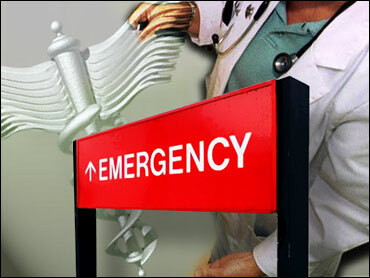 Each year more than 100 million people go the emergency room. The majority of them receive good care, but not all ERs are created equal. A trip to the emergency room can be disastrous if certain precautions aren't taken. To help get quality care on a visit to the emergency room, The Saturday Early Show's Dr. Mallika Marshall provided some tips. Almost anyone who's been to the ER complains about the long wait. Marshall explains hospitals follow a triage system, which means that the sickest people get treated first. Unless you go the emergency room with a very serious injury such as heavy bleeding, you will probably have to wait. But, Marshall says, you can use that time to prepare for everything you need to tell your doctor about your condition. Never Drive Yourself to the ER: This sounds like common sense, but some people actually do drive themselves to the emergency room when they are in no condition to be behind the wheel. Marshall says you are going to want to have a member of your family or your friends take you to the hospital. If you think you've had a heart attack or sustained a serious injury, call an ambulance immediately. Bring an Advocate: This can be either a family member or friend. Marshall says you are going to want to have someone in the ER with you because many people don't think clearly when they've had an accident or have become very sick. An advocate can speak in your place and ensure you get quality care. Don't Downplay Your Symptoms: You need to be completely honest about how you are feeling with the attending physician, Marshall says. If you're not completely open or downplay how you're feeling, the doctor may not perform the necessary tests and you could wind up not getting the help you need. Call Your Personal Physician: Marshall says it's very important that your personal doctor know when you go to the emergency room. He or she knows your personal medical history and can help the doctors at the hospital ensure you get the best care possible. Know Your Medications: It's very important that you keep a list of all medicines that you take and that you know them by heart. The doctor in the ER may want to give you a medicine that could interact with any drugs you are currently taking which could leave you in worse shape than when you arrived. Get Instructions in Writing: Unless your injury is so serious that you are admitted to the hospital, the ER physician will give you follow-up instructions. It is very important to get these in writing, according to Marshall. Many people aren't thinking clearly when they are in the ER and by getting your instructions in writing, you leave no room for confusion. Fill Prescriptions Immediately: Many people leave the ER with prescriptions but don't get them filled right away. Marshall says the only way you are going to get better is if you begin taking the medication immediately. Failure to do so could prolong your illness or injury. There's really excuse not to especially since so many pharmacies are open 24 hours a day. Don't Hesitate to Follow Up: If you are still feeling sick after following the instructions of the ER doctor, Marshall says don't wait to follow up. You're only putting yourself at risk by doing so. It's best to follow up with your own physician, but if your symptoms become serious again don't hesitate to go back to the hospital.